Energia Soccer Ball 32 Panels in size 5. Comes in the five Energia colors of Red, White, Gold, Green & Black. 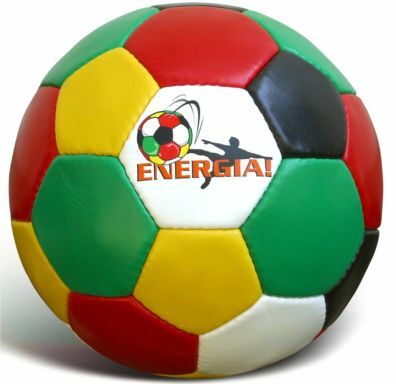 Energia Soccer Ball in five colors, size 5. This ball is our most popular product coming in the five Energia colors of Red, White, Gold, Green & Black. These tracts explain the 5 colors in a way that can be understood by all ages.